I watch my caravan of humans, horned giants, and barely civil centaurs walk past a city’s matchstick walls. I see them haul their banner across an inky blue hellscape of torn hills and mangled forests. They swim through a sea of humanity seeking refuge from the inevitable end of the world. 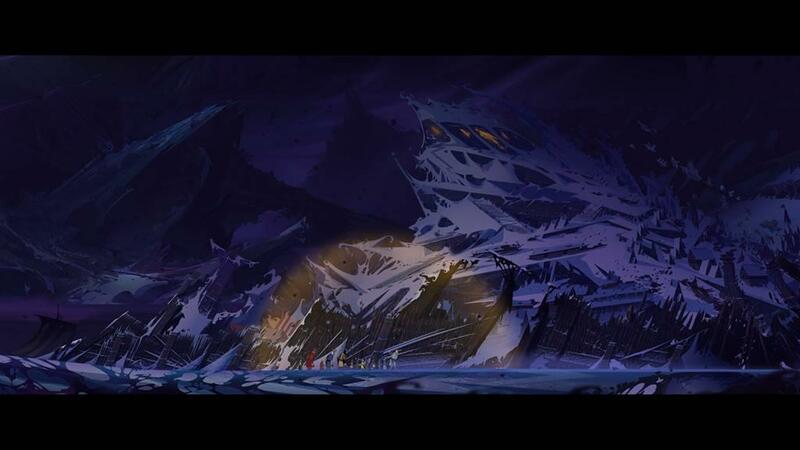 The once-beautiful Eyvind Earle-inspired artwork is broken and bleeding. The Austin Wintory soundtrack is bruised and discordant. 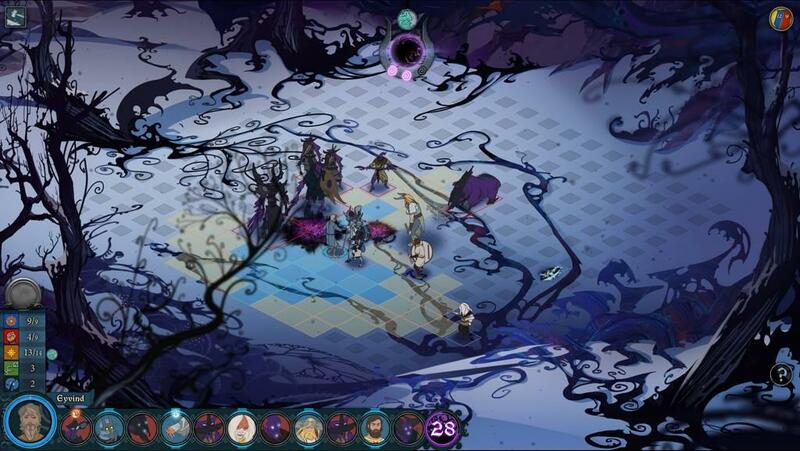 I’ve seen a hundred depictions of the apocalypse, but The Banner Saga 3 sure feels like it dangles more than most from the hopeless end of a frayed and unfurling rope. If you’ve read my first impressions, all I can add is that the game has only gotten better, while my strength of will to see things through has only gotten worse. 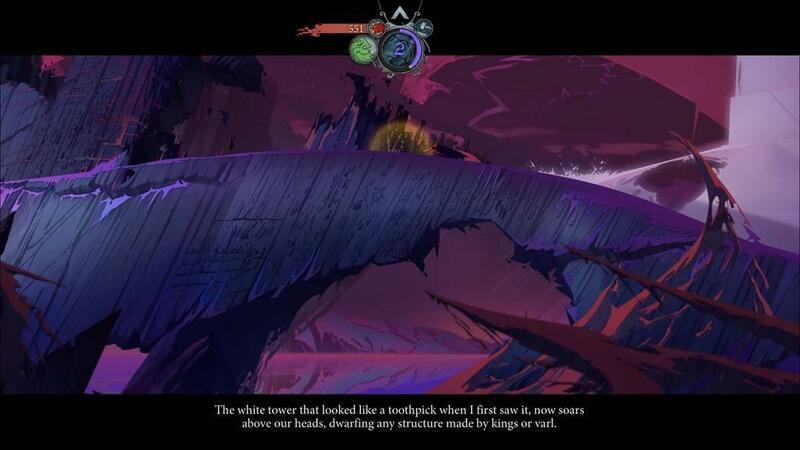 In this saga, Stoic Studio has successfully written a new mythology. A drama that would be largely impossible to recreate on any stage HBO could provide. A drama that reads more like literature than plays like a video game. I mean that in the best way possible. 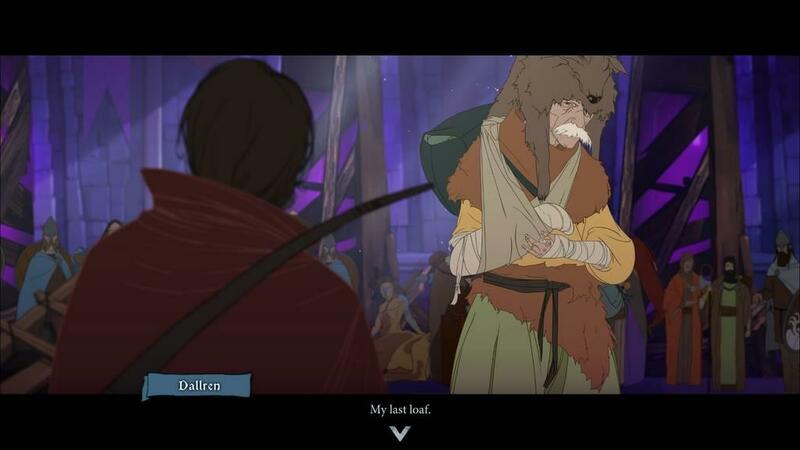 Aside from a token gesture, a lot of the Oregon Trail-like elements take a backseat in this third and final chapter of The Banner Saga’s planned trilogy. We’re not engaged in weeks-long Lord of the Rings-length treks across the map so much as we are engaged in a fight for our lives that’s measured in hours. Food isn’t an important stat to track, though it still plays a narrative role. Morale isn’t an important stat to track either, except, likewise, in a narrative role. Happiness, I imagine, has hit rock bottom, yet the morale meter is pinned to the max. Don’t let its smiling, green, upturned face fool you: Every single person reaches the end of themselves--except for a couple inexplicably chipper exceptions. So, pay attention to the words more than the stats. And while holding your own on the battlefield still matters, making good decisions within the narrative is of equal if not greater importance. Your journey succeeds or fails in the text and the subtext. Knowing that is half the battle. Sure, learn your fighters’ strengths and weaknesses when it comes down to the tactical game. Use your centaurs’ hit-and-run maneuvers. Tank with your giants. Whittle down the enemy with your spearmen and axemen. Pick them off with your archers. Devise a combo or two if you discover a couple characters’ special abilities that complement one another. It’s still satisfying to hone your armchair-general skills amidst all these lovely and destructive scenes. The grand journey appears to be stuck in a vice grip. Here I am, bouncing back and forth on some kind of end-of-the-world pinball table, watching one party fend off the insurmountable darkness, and the other party dive deep into the heart of it. The World Eater is here to do what I imagine the World Eater does, and it doesn’t look like I have what it takes to stop it from enjoying its meal. I wish that was my only problem. Instead, I have little idea of who’s a staunch ally and who’s going to betray me at any given moment. Seeing the darkness heading right for you is one thing. Never seeing the vile traitor that stabs you in the back is quite another. 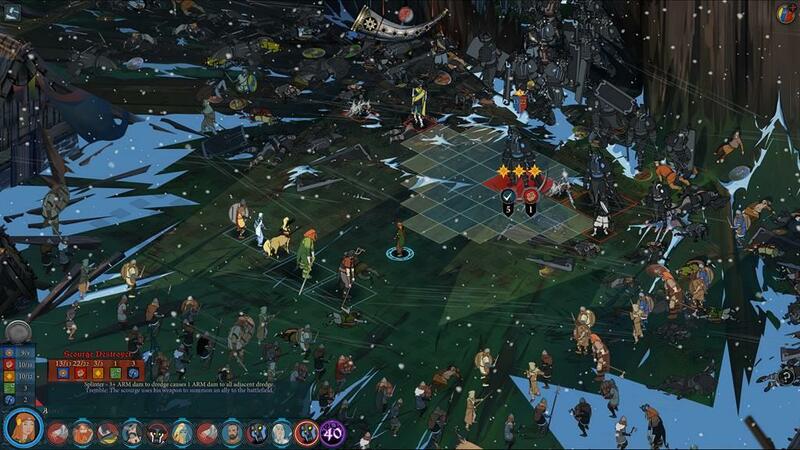 This is the end of The Banner Saga. One way or the other. It can be a hard fact to face. 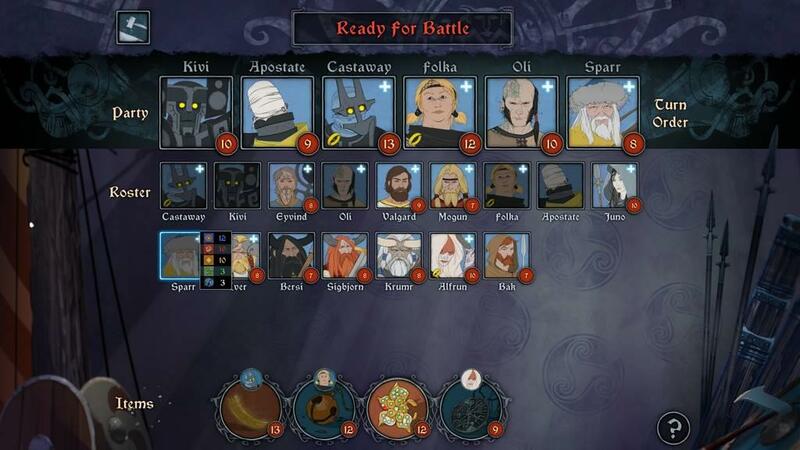 A new wave-based combat scenario arrives in The Banner Saga 3. Enemy reinforcements might still show up after your party is already fatigued and on its last legs. Those are desperate fights, and those still happen on occasion. Here, in the new wave-based scenarios, however, you’re able to fight or flee between waves. Continuing the fight teases increased rewards. But running and saving your hide has its own obvious benefits. Should you choose to stay and fight the second wave, you can swap out injured characters and bring in fresh-faced reinforcements from your own roster. It’s an interesting concept, especially since my folks are getting their hats handed to them on a regular basis in this final, desperate chapter. It's not unusual to see half of my roster with one, two, or three days' worth of injuries stamped onto their faces. Something I continually forgot to take into account, because I’m an idiot, is that a character’s role in the story has little to do with their role on the battlefield. I suffered constant heartburn because I’d send Rook, my game’s main character, charging ahead of the pack like the leader I imagined him to be. Only to watch him get cut down, time and time again, because he is an archer, a glass cannon, and not a heavily armed and armored warrior. He could dish it out, but couldn’t take it. So he fell behind in promotions because he was continually wrecked and taken out of the fight, and getting kills is the way to level up. I just never learn, thinking that any one character’s narrative importance speaks louder than their battlefield prowess. It doesn’t. Don’t be like me. Play to a character’s tactical abilities, not to their narrative strengths. 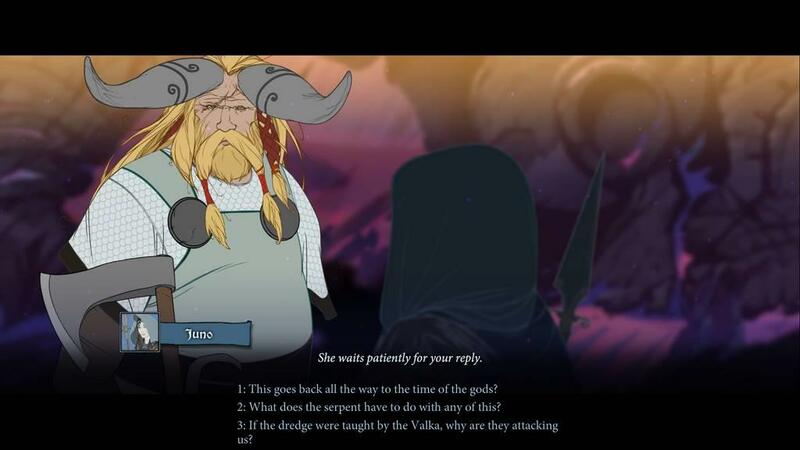 I still have nitpicks about when and where the autosave system (the only save system there is in The Banner Saga) decides to save your game or not. I’ve completed entire battles, engaged in dialogue afterwards, and shut down the computer, only to click Continue the next day and have to refight that same fight and reclick through that same conversation again. 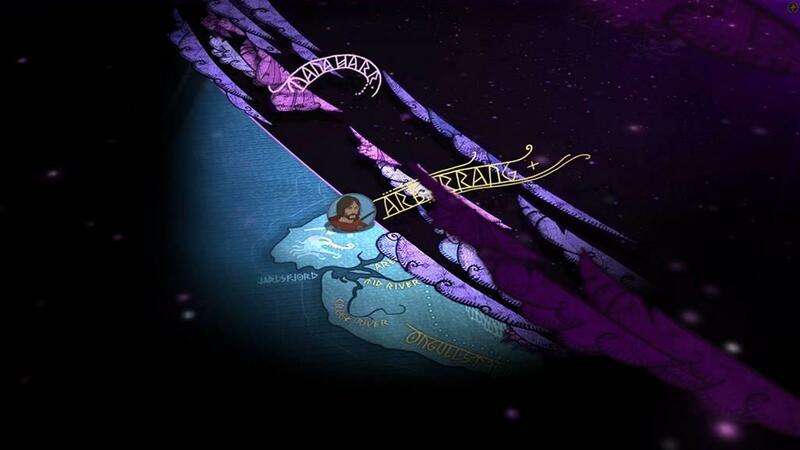 One thing I loved about The Banner Sagas 1 and 2 was the world building. Traversing a landscape rich in history, passing immense stones carven with gods, walking into towns ancient and new. But here, there’s no more world building. Only world destroying. It’s appropriately sad that there’s not much left to do but fight. That, and searching for the will to keep fighting. 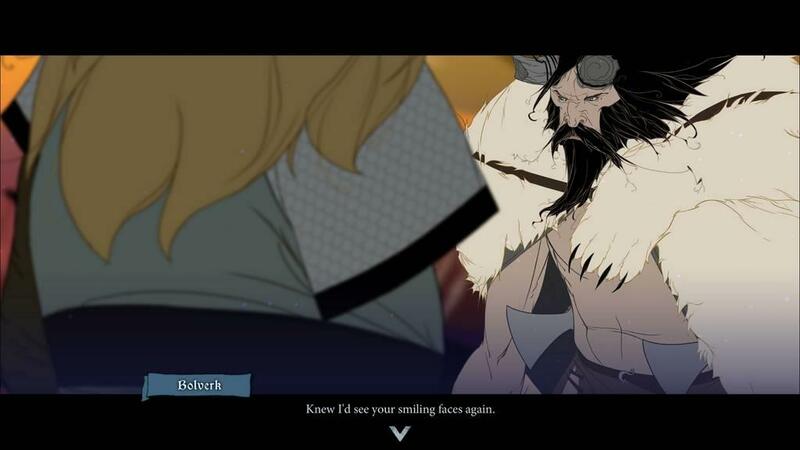 Ultimately, The Banner Saga 3 has learned a lot of little lessons along the way from its series predecessors. 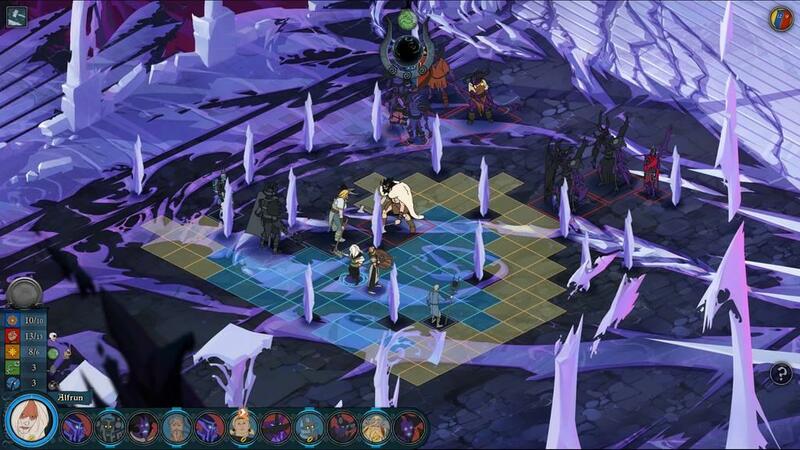 Each stands as a solid release, and the experience is consistent, but the game really hits its stride in the end. It moves from strength to strength, sometimes stunning me, sometimes losing me, but always getting me back on the rails, coaxing me to carry on this hopeless battle against an unbearable, darkening world. 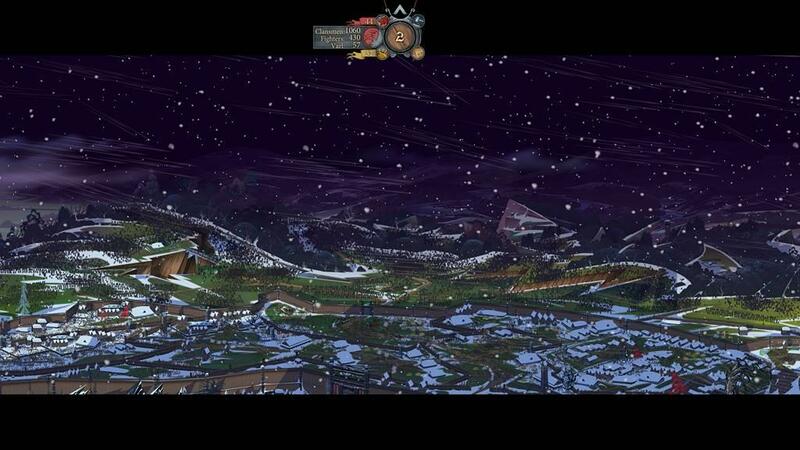 Rarely have I felt such an impending doom--in video games as a whole--as in this final act. I can’t name another time when I’d encountered an inky darkness so cloistering I'd become this claustrophobic. And where I once feared indecision and starvation, I now fear endless injuries and ruinous conversations. 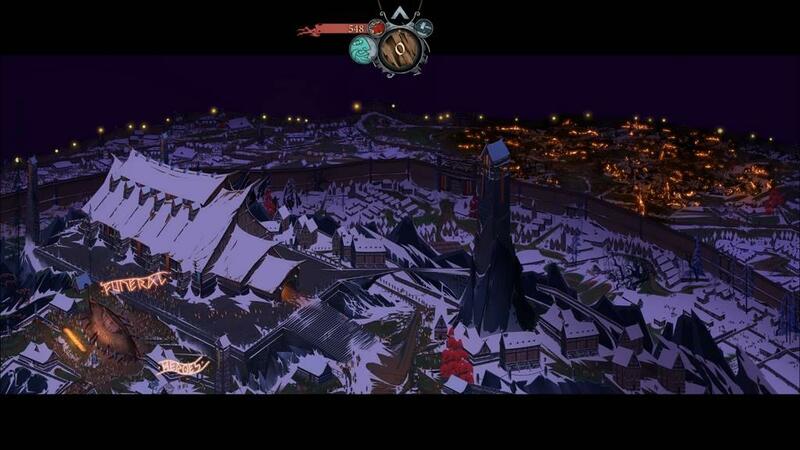 In its own way, The Banner Saga 3 is sometimes very hard to play. But then, once started, it is impossible not to, as the nuggets of hope and camaraderie held my head up. Hope is a rare commodity at the end of the world, yet hope kept this fragile and unlikely fellowship together. 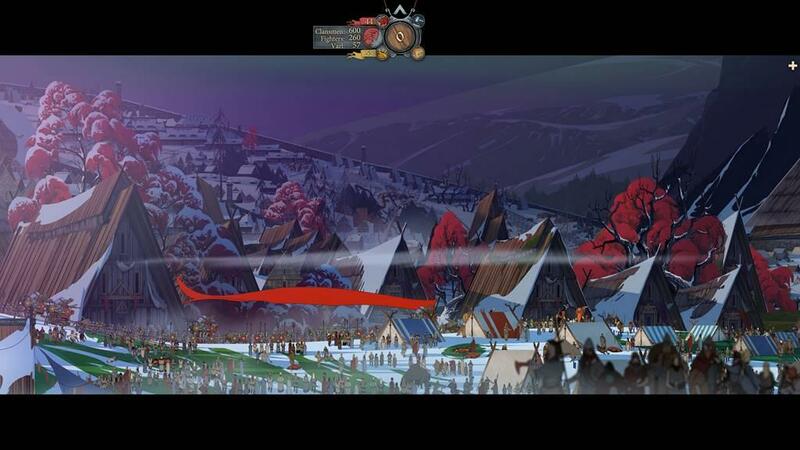 If you've played the first two, The Banner Saga 3 is impossible to ignore. In this final chapter, everything is broken and mended and broken again. I was never sure if there would be--or even could be--any kind of happily ever after to this massive mythology Stoic Studios has built. It's an excellent uncertainty.